During the week of April 7 to 11, several meetings of ISO Workgroups have taken place at KISSsoft AG headquarters. 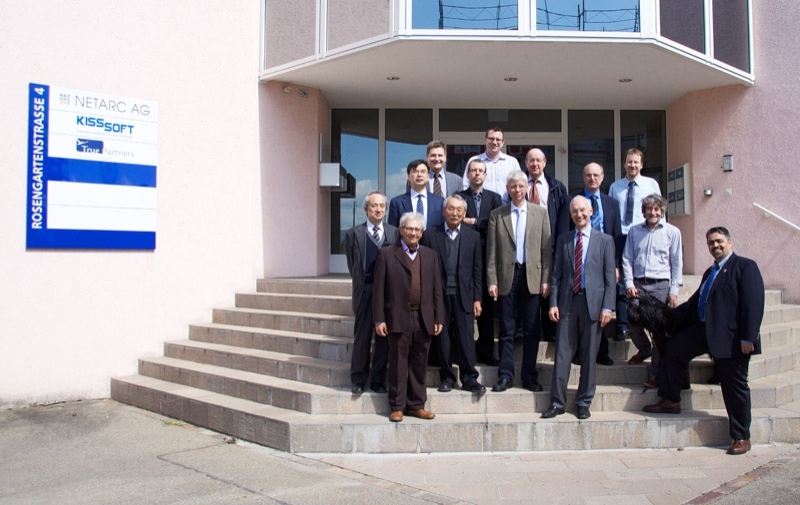 Workgroup 6, chaired by Professor Höhn, is intensively engaged in the development of a Technical Report, in which for the first time eight examples of calculations according to ISO 6336 will be documented. This work is very important for KISSsoft, because it can demonstrate that our software correctly implements the ISO 6336 and we get the same results, as they will be published in the standard. After concluding the new issue of the ISO 1328-1 for cylindrical gear tolerances, Workgroup 2 works now on the Technical Report 10064: Code of inspection practice. The ISO 1328-1 was published in 2013 and is included in the new KISSsoft Release 03/2014. Since the differences compared to 1995 are considerable, both versions of Part 1 are now available in KISSsoft. We assume that it will take still much time until the new tolerance values are generally considered. Workgroup 7, chaired by Dr. Octrue, is concerned with the geometry and strength of worm wheels. The different flank forms of the ISO TR 10828 are implemented in the 3D worm models of KISSsoft. We are pleased to have hosted these successful meetings full of inspiration!